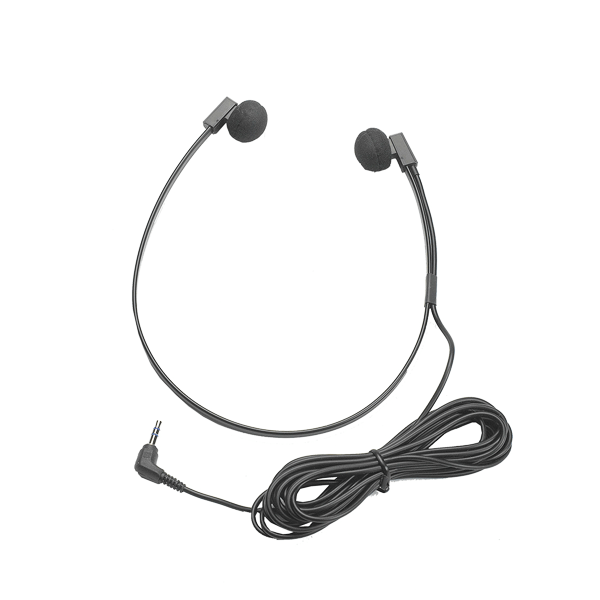 Spectra SP-RA high quality twin speaker headset for transcription features 5 ft. cord and 3.5mm stereo plug end. 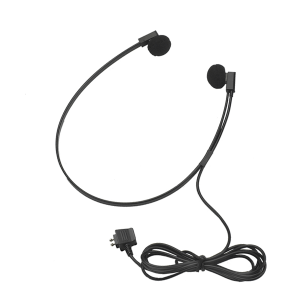 Spectra SP-RA High Quality Twin Speaker Transcription Headset with Right Angle 3.5mm Plug & 5 ft. Cord. 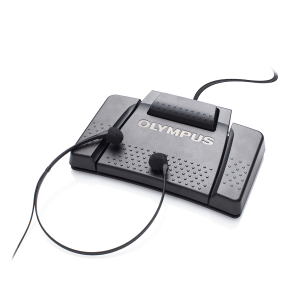 The Spectra SP-RA transcription headset is lightweight, comfortable and the finest style of dictation headset available. It’s two speakers give balanced and crystal clear delivery. 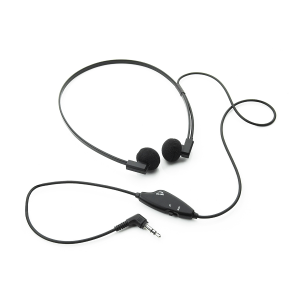 The twin speaker, under-chin headset style is comfortable and practical. The set itself weighs in at less than 1oz. The Spectra comes equipped with two soft, velvet like ear cushions. This unit is a must for anyone, the heavy transcriptionist or light user. This unit comes with a 5 ft. cord. 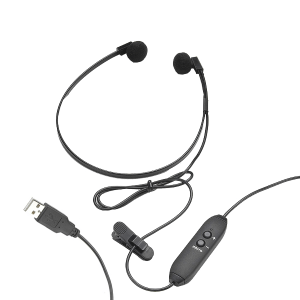 This headset has compatibility with stereo connections, and has a 3.5mm stereo plug end.